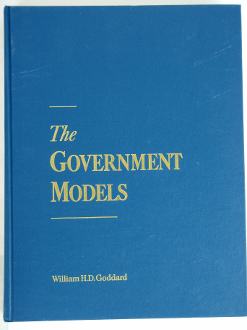 Book Details: This book serves as a reference and identification guide for Colt Government Models. The cover shows a few scratches & handling marks, overall looks pretty good. Nice book for the collector. Black & white illustrations. Measures 8 3/4” x 11 1/4” hard cover.